Albatross are definitely one of the weirder bands out there and seem especially mature for the often too brutal Indian scene. Their new record Fear From The Skies sees these heavy metal freaks unleashing some of their wackiest music et, stuff that's very serious, yet also surprisingly creepy. It will leave you pondering what heavy metal can really be and unveils the enduring – and frankly twisted beauty of the genre. Albatross take everything from a unique angle and trying to pick apart the distinct sound worlds they have created is always a true pleasure. 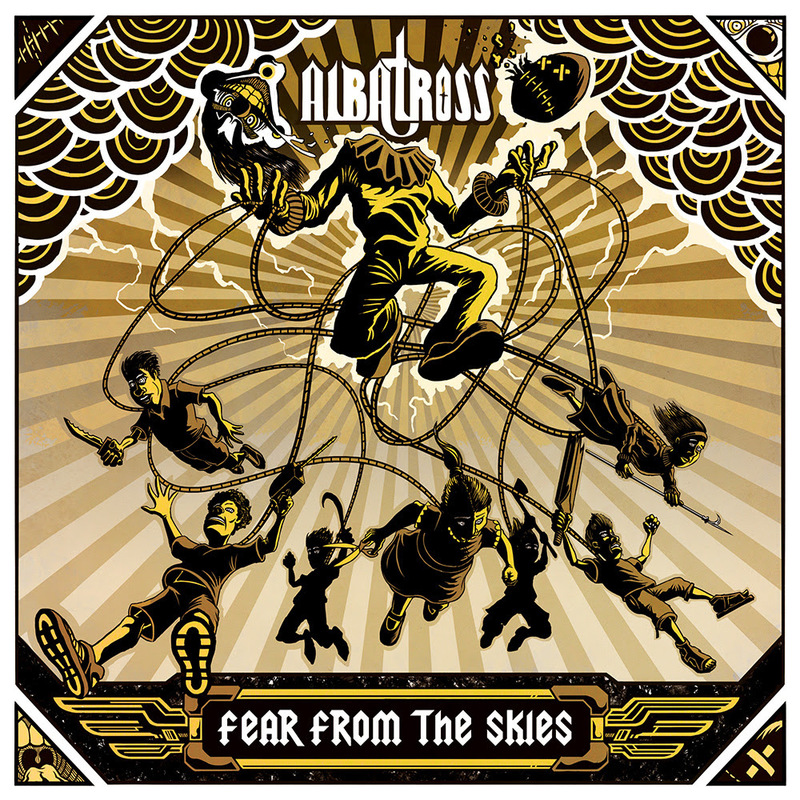 One of the things that fascinates me the most about Albatross is the way that they fuse a variety of vocal styles and instrumental timbres into a strangely complete feeling whole. The band has no difficulty putting jazzy or funky parts next to straight death metal. It keeps you off balance and gets you considering all sorts of strange new possibilities. It's a trip to explore the weird worlds that Albatross invoke. The rising and falling nature of the music only adds to the glorious sense of chaos that Albatross seem to revel in. The raw diversity of this record definitely is too much to take in on one listen, but similar to bands like Mr Bungle, the deeper you delve the harder it is to find your way back out again. Albatross are the kind of band who it is impossible to put genre labels on, and the kind of band who will force you to look into yourself and see if you have what it takes to understand the bands defining weirdness. Exploring their sonic journeys, journeys that are as varied as they are mind bogglingly unique is a inspiring experience and has personally left me with all sorts of ideas to craft future compositions. What more could you want from this kind of mind bending and world ending power than utter sonic salvation?